Trail is a smart-card based system specifically designed to get students looking, thinking, and talking about a museum’s stories, images, and artifacts. Trail is a smart-card based system specifically designed to get students looking, thinking, and talking about a museum's stories, images, and artifacts. 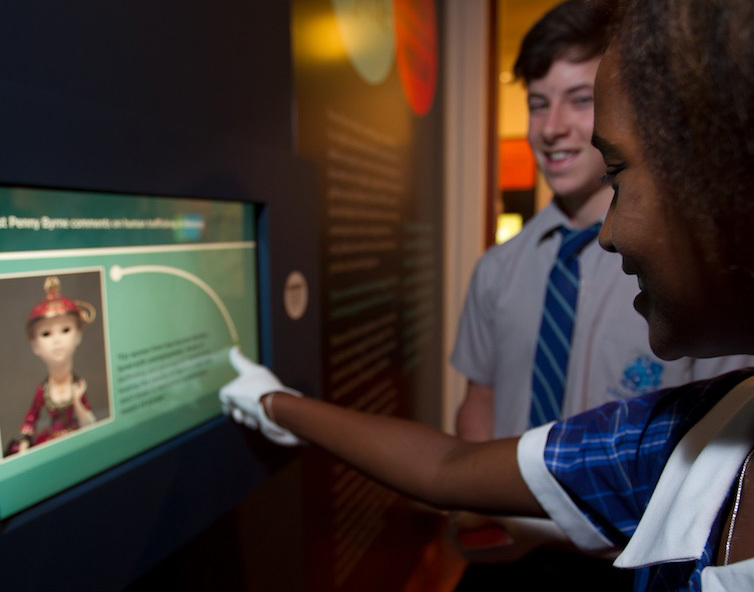 Using RFID enabled smart-cards, Trail is a modern, touchscreen alternative to the traditional worksheet-based approach to museum learning. 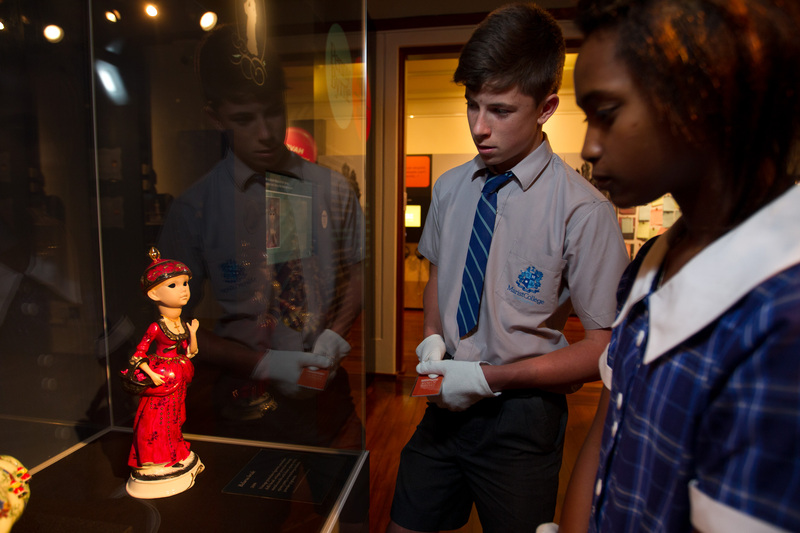 With minimal instruction, students embark on unique learning trails designed to increase engagement with a museum’s material culture. Working either individually or in small groups, Trail enables students to explore museum exhibitions freely and at their own pace — engaging with location-specific interactive activities that encourage observation, discussion and comparison with the opinions of their peers. This Muse award-winning platform is a stress-tested solution, with the proven ability to support over 70,000 school visitors annually. Trail’s success is rooted in its ability to manage the logistics of large numbers of students moving around an exhibition space. Once students are issued an RFID card, they are directed to “start at a free station of their choosing”. Trail then delivers simple, location-specific activities (like matching games, ‘go and sees’ and opinion polls) that inspire the students to engage with the museum’s stories, images, and artifacts. Trail keeps track of where each team has visited and finds free stations as they become available. The system also chooses and reserves new destination screens, provides dynamic ‘heads up’ maps to the next destination, and generally ensures that students move around without encountering any bottlenecks. All of this happens asynchronously — teams proceed at their own pace rather than moving in forced lock-step with one another. and unrivalled customer support and ongoing maintenance. All on-screen content is under the control of museum educators. 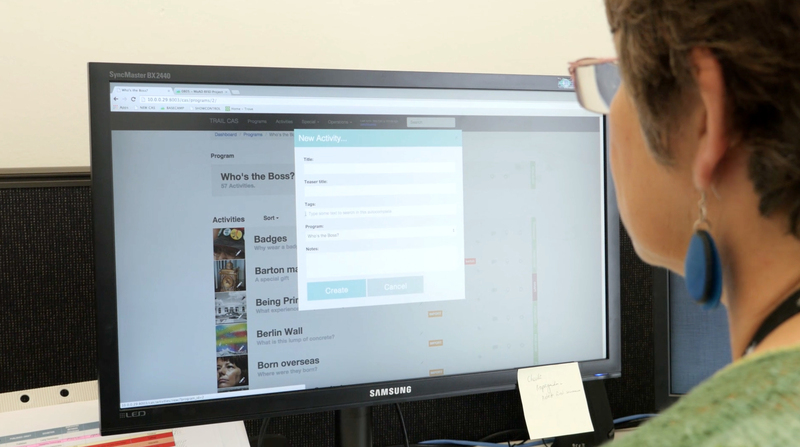 Trail’s content authoring system lets educators assemble activities from a palette of interaction templates, populating these with text, imagery and references to nearby museum stories and objects. The ability to author content in-house allows museums to tailor programs to suit different age groups, abilities, and interests. For example, different programs for primary and secondary school visitors. Or a one-off program that ties in with a special event or anniversary. The content authoring system also generates a customized “takeaway.” Based on the information collected by each smart card, a personalized PDF is emailed to each visitor or simply sent to a teacher to spark discussions back in the classroom. Still have questions? Here are some common Trail FAQs. For more information about Trail, Please contact us.